On July 7th 2016 something never heard of had happened. In a sheepish island, Singapore where everyone does as he is told, terrified of their government, a Canadian had the temerity to rob a bank, the Standard Chartered Bank. Since such a thing has never happened in living memory in that obedient island, of course the security was not anywhere near the level in any other bank in any other normal country. 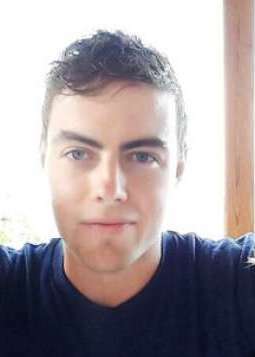 It seems all he had to do was to write a note with the words "give me the money", hand it to the teller, to which the tellers happily obeyed and since there was no security guard there to do anything, this young Canadian David James Roach 26, took a leisurely walk with $30,000 out of the bank in full view of everyone and disappeared into oblivion. He appeared immediately thereafter in Bangkok Thailand and on the information of the Singapore police, who were clueless of his escape, got the Bangkok police to have him arrested. Now Singapore wants them to send him to Singapore while the Canadians who have got wind of their citizen in Bangkok have asked that he be sent instead to Canada. I would ask Thailand not to send him to Singapore because the law is against such an action. 1. Singapore has laws which render Roach to be caned in addition to a jail term for this offense. As Canada does not have laws that permit caning which is universally considered cruel and unusual punishment, a law which one could expect only in perhaps repressive North Korea, Canada has a right to insist that their citizen should not be subject to such inhumane punishment and therefore the proper forum should be Canada, not Singapore. 2. Another reason for not sending him to Singapore is the lack of the rule of law. It is well known that Singapore has judges who are selected by the ruling government purely for their obedience, which does not ascribe to Constitutional rights for its citizens and uses the courts as a political tool to silence criticism. For decades now critics of the government have been routinely jailed sued for defamation and bankrupted to ensure that no one criticizes the government. Since Singapore judges allow themselves to be used in this disgraceful way, it is certain that in order to discourage any more bank robberies, the state would most certainly instruct the judge to render a overly harsh punishment of perhaps decades in jail and severe beatings in the form of judicial caning. Canada should strenuously object to this happening. 3. An example of another country which has refused to allow their citizen to be returned to Singapore is Romania. A few years ago, a Romanian diplomat Silviu Ionesciu was charged with drunken driving which resulted in deaths of pedestrians in the island. After he had managed to escape to Romania while on bail, Singapore made numerous attempts to have him returned. I and many others around the world had written to the Romanian authorities pointing out the flawed legal system in the Singapore dictatorship and they correctly decided not to send him to Singapore. It was a slap in the face for Singapore and I know it is not going to be the last. 4. Thailand has its reputation to take care of. By sending Roach to Singapore they would indirectly be sending a message to the world that they are in cohorts with this pariah state which denies their citizens the rule of law or even fundamental human rights and therefore they are no better than that disgraced island. They would be in advantage if they were seen to side with a proud and respected democracy such as Canada instead. 5. Thailand does not have an extradition treaty with Singapore. whereas they have one with Canada. The reason why Singapore has to date refused to sign a treaty with Thailand is because they want to shelter Thai criminals who have embezzled banks in Thailand to park their money in the island. It is profitable for them not to have a treaty. They similarly have refused to sign a treaty with Indonesia for similar reasons which is why they will not receive any assistance from Indonesia whatsoever. Singapore leaders are mere pipsqueak tin pot tyrants who think they are too big for their shoes. It is time to bring them down to sea level and this is an opportunity for Thailand to do so. 6. Although Thailand does not have an extradition treaty with Singapore, it does not mean that they cannot accede to a request for repatriation. I concede that. However as they have never shown any willingness to co-operate with the Thais in the past unless it does not concern their interests, Thailand should not co-operate with the island which refuses to co-operate with them. 7. Had Roach been apprehended within Singapore, of course Singapore has full jurisdiction. But when the suspect is found instead in a third country, several other considerations come into play. One his nationality, second comity of criminal jurisprudence, third the interests of the country that he is now found in. On balance if all these considerations as looked at, clearly Canada should be the forum and venue, not Singapore. I would urge everyone who loves freedom around the world to write to the Canadian and Thai governments to urge them to repatriate Roach to Canada, not Singapore.